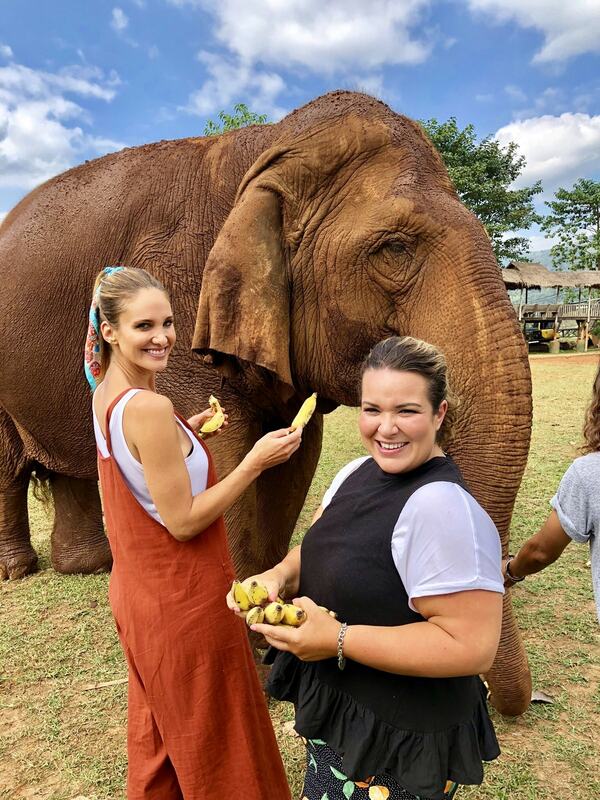 After starting our Thailand adventure in Bangkok (read all about it HERE) we hopped on a plane for a short 1hr and 15min flight and headed North to stunning Chiang Mai. It was such a relief to not have to think about the internal flights, since Flight Centre had booked it all for us! 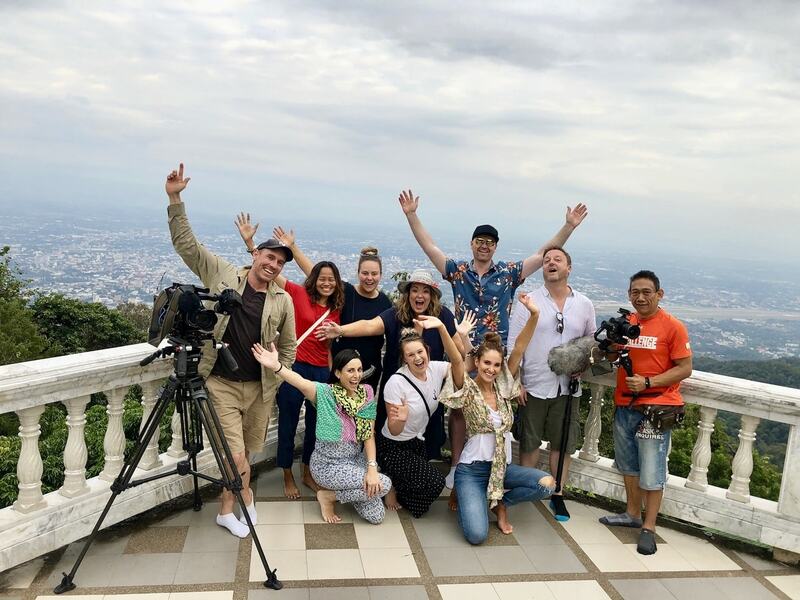 We were super sad to wave goodbye to our beautiful Intrepid tour leader, Sasha, at the Bangkok airport, but thrilled to meet Soon, our new Intrepid expert who would be showing us around this thriving city. 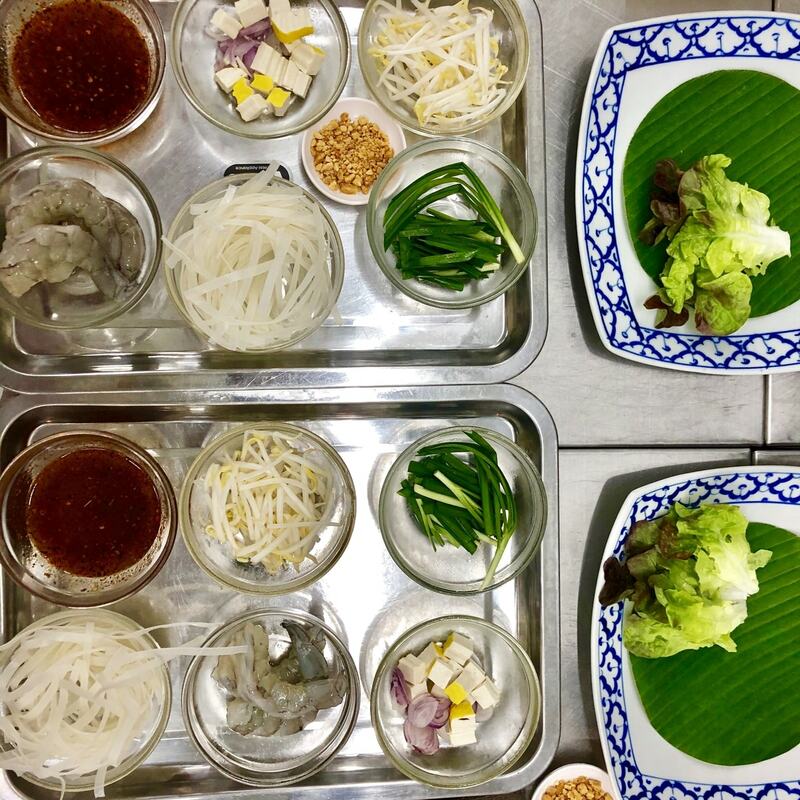 Learn how to make the classics with a Thai cooking class. 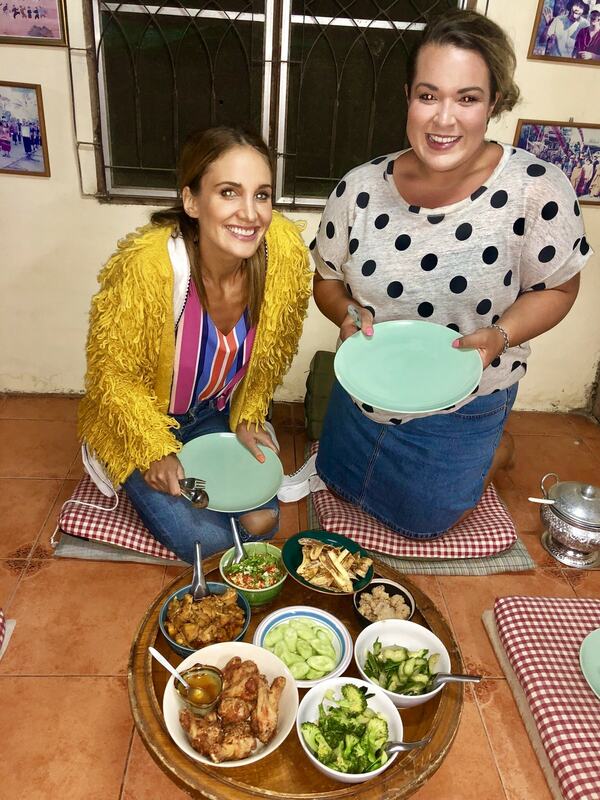 Cooking at Home in Chiang Mai was so incredible, we gave it five Adelady pineapples! 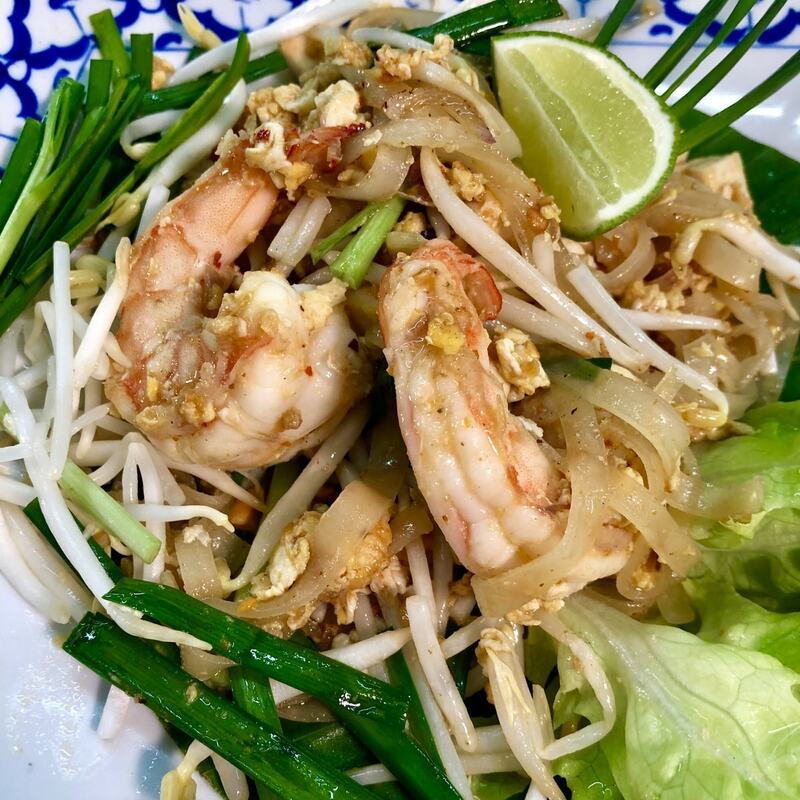 We felt like domestic goddesses after whipping up their secret Pad Thai recipe, and were itching to get home to show off our new culinary skills. 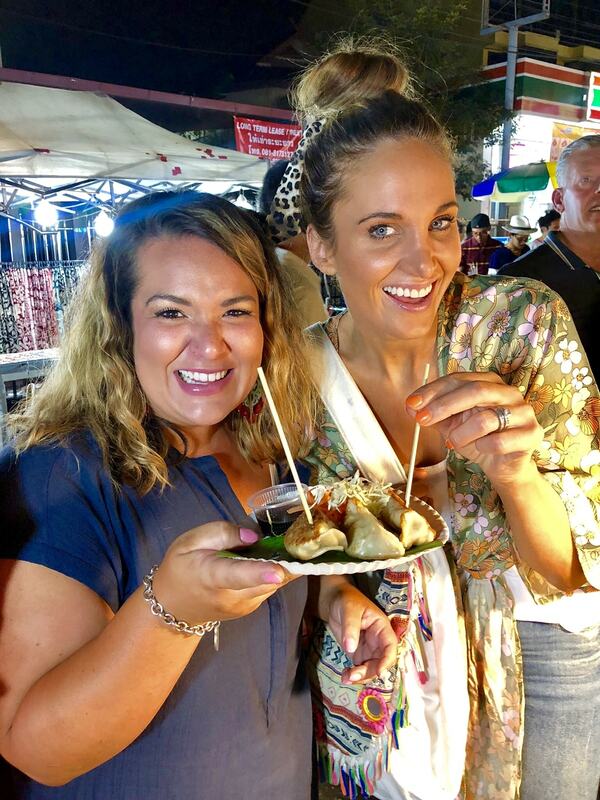 Since being back in Adelaide, I’ve made a couple of their curry recipes that I fell in love with while in Thailand… and they’re SO tasty, if I do say so myself! 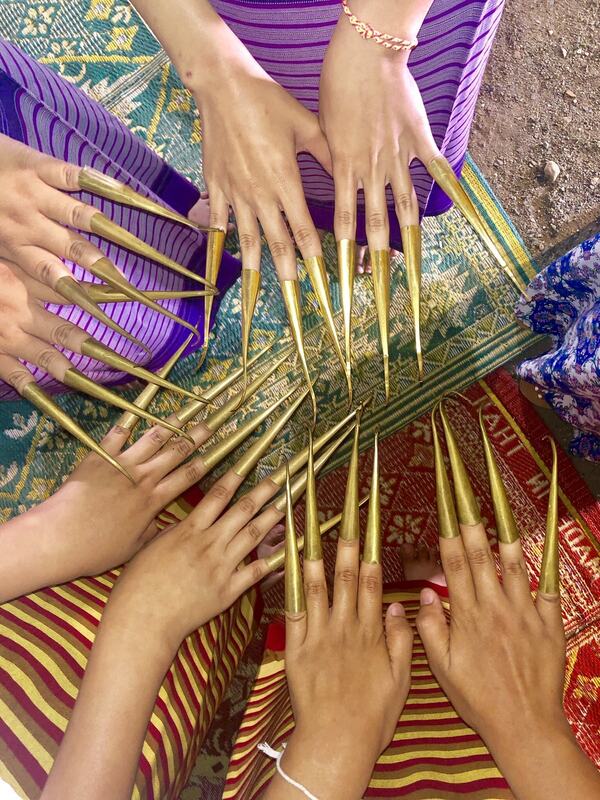 A bucket list item that can’t be missed — this tradition is bursting with kindness and generosity towards the monks, who aren’t allowed to make money or cook due to their faith. 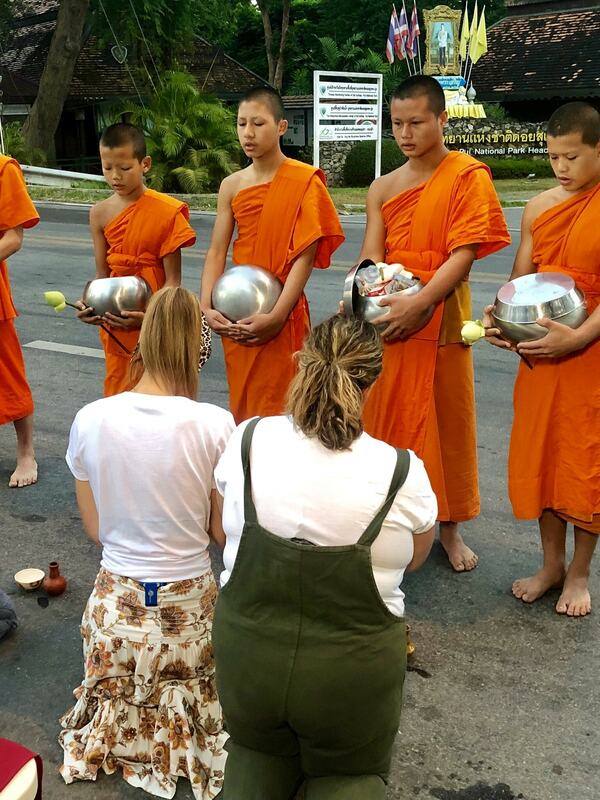 The unique experience of giving alms happens daily at 6am, where you have the opportunity to present monks with their food for the day, receive your blessing, and learn more about this humbling tradition. 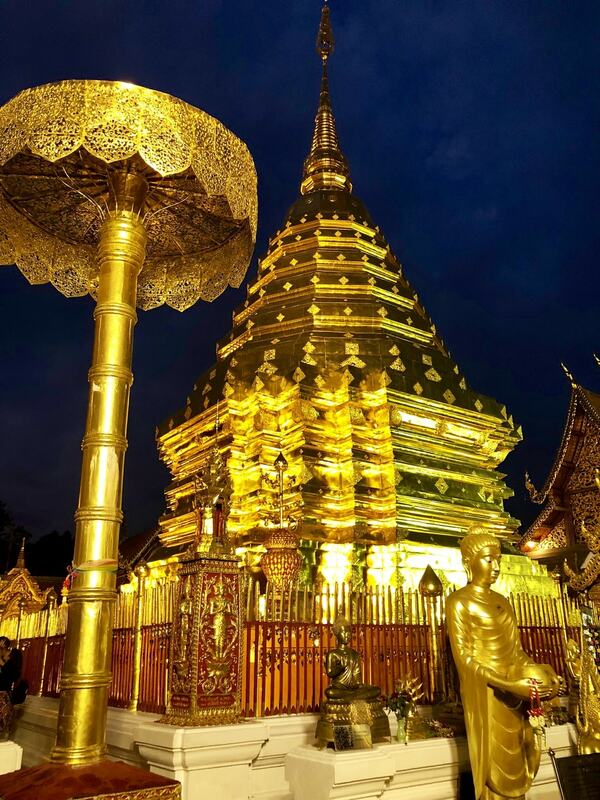 We visited Wat Phra That Doi Suthep temple in Chiang Mai. 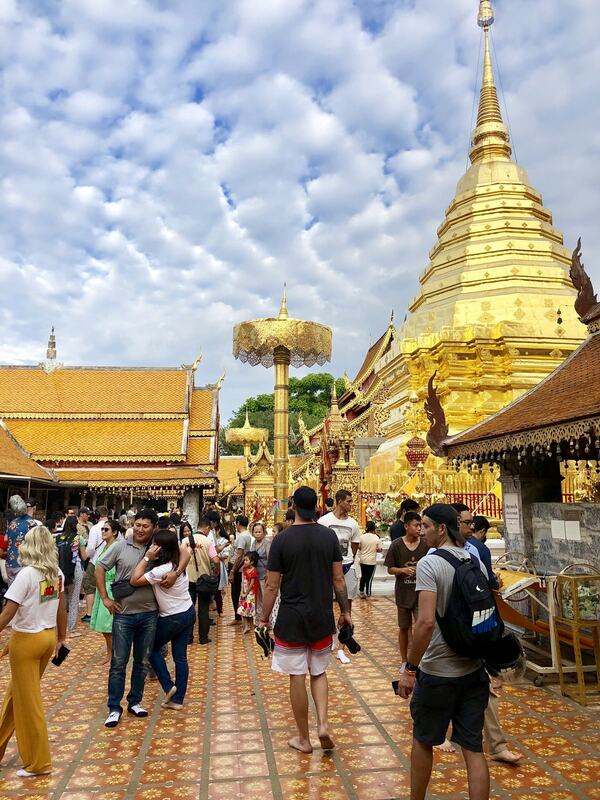 Not only is it the most visited temple in northern Thailand with outstanding views — it’s also 650 years young, and is the glittering home to a Bhikkhu of monks. With Thai baht burning in your pocket and an endless list of souvenirs to buy, Intrepid will take you to the best of the best. 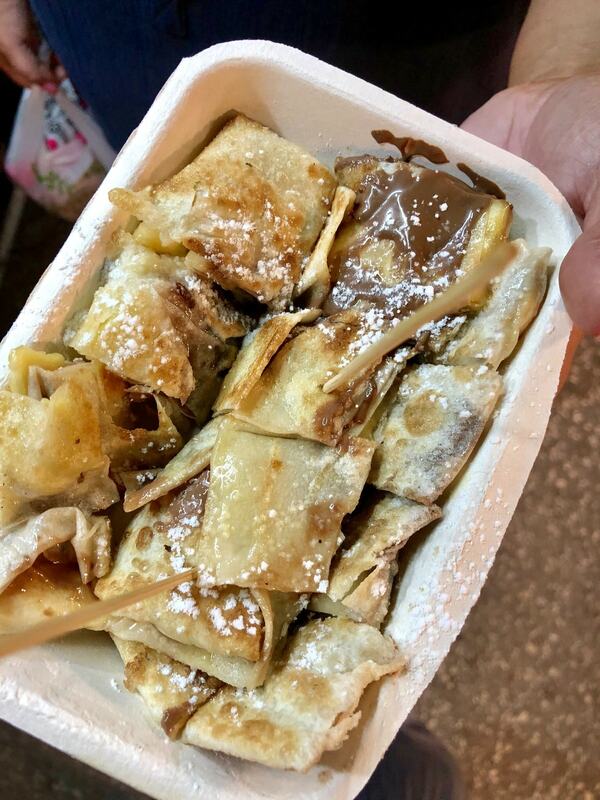 Some of our favourites are the Walking Street Market in Chiang Mai which bursts into action every Sunday, the hustle and bustle of China Town in Bangkok that’s bound to challenge your tastebuds (we’re talking dumplings one minute, fried crickets the next), and Chiang Mai’s Night Bazaar which is packed full of colourful clothes, bags, and jewellery. And yep, everything’s cheap! 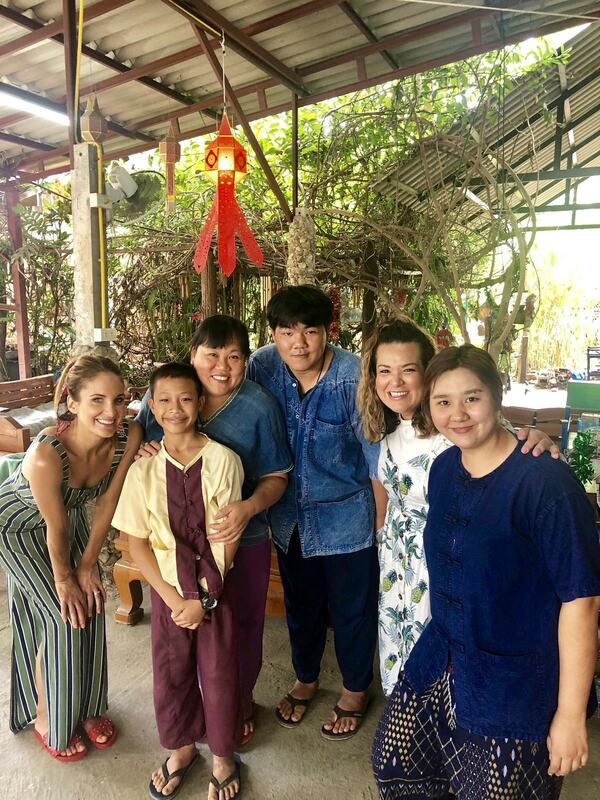 One of the most authentic experiences is having the opportunity to “live like a local”, staying in a Thai family home. We were welcomed with smiles and traditional flower tea into the home of Aoi, Amie, Mongtan, and Pungpon. 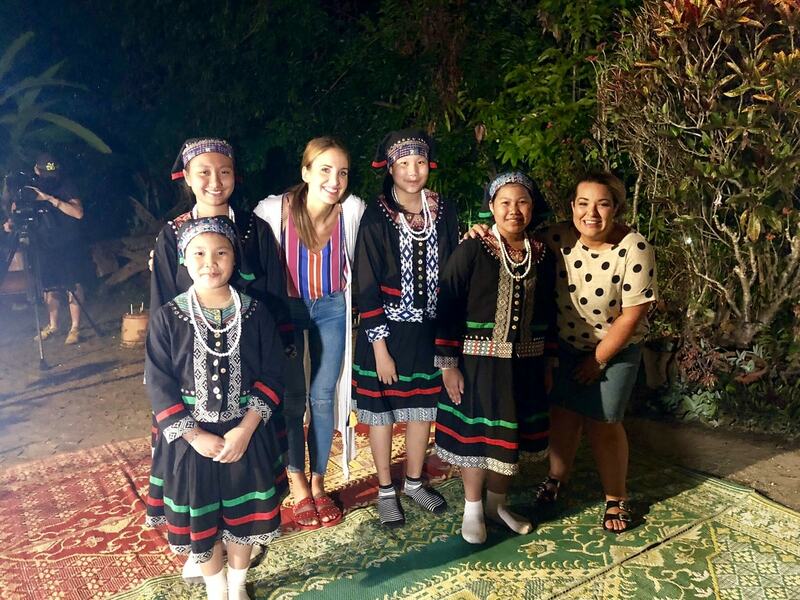 As part of the Intrepid tour, you stay in their traditional Thai two storey huts and are treated to musical performances, fed like Thai Queens, and tour the local rice paddies. 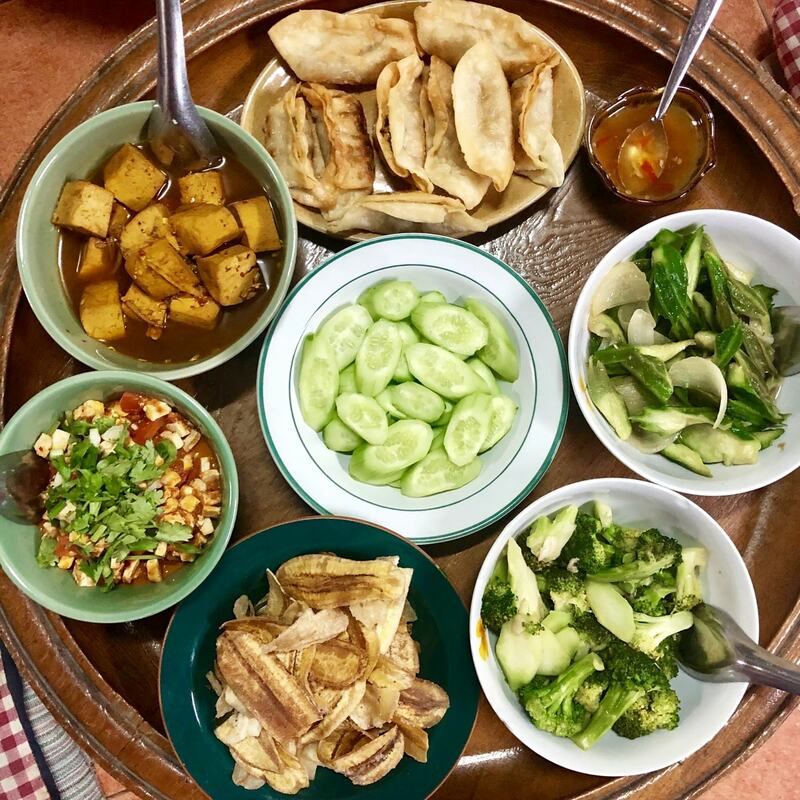 One hour north of Chiang Mai, is one of the most heart-warming experiences we’ve ever had. 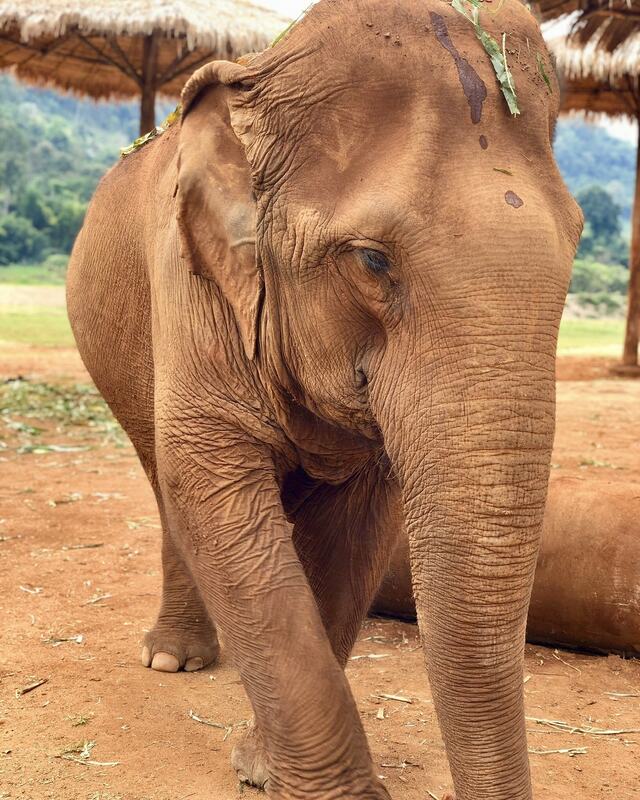 At Lek’s Elephant Nature Park, you’ll find 84 elephants who’ve been rescued from both physical and mental abuse. Now, they live free from fear and exploitation. 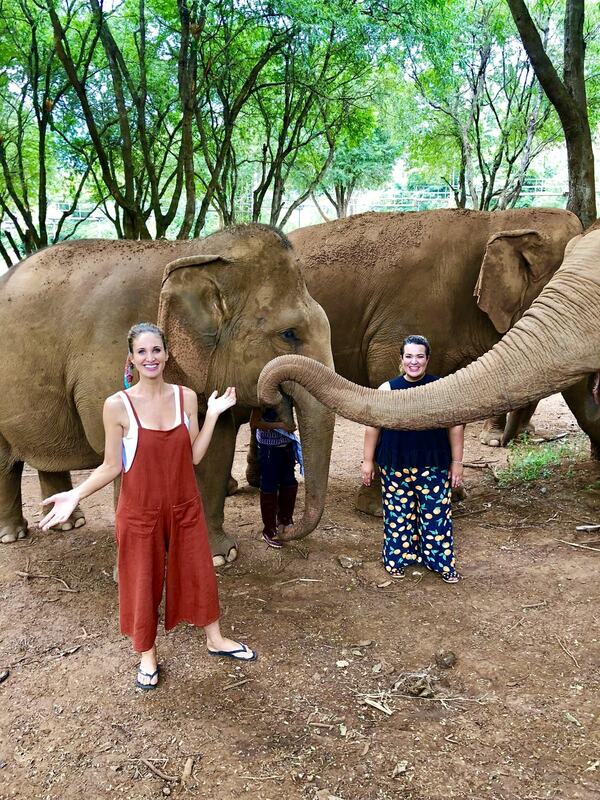 Having nine elephants run towards you in greeting is a completely breathtaking experience. 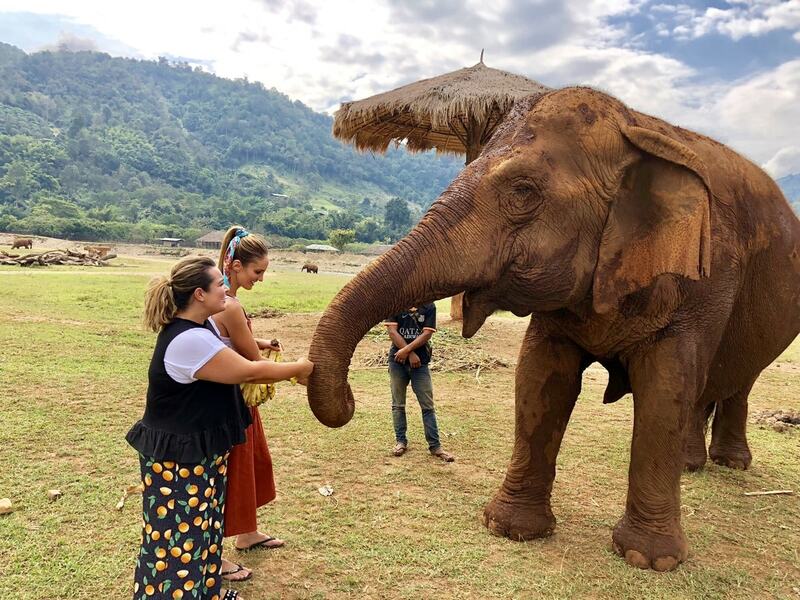 Owner, Lek knows every elephant by name and they treat her like the mum of the herd, leading her around with their trunks and flapping their ears to signal that they’d like her to sing them a lullaby. Here in elephant paradise, you’ll learn all about how you can support cruelty free animal experiences. 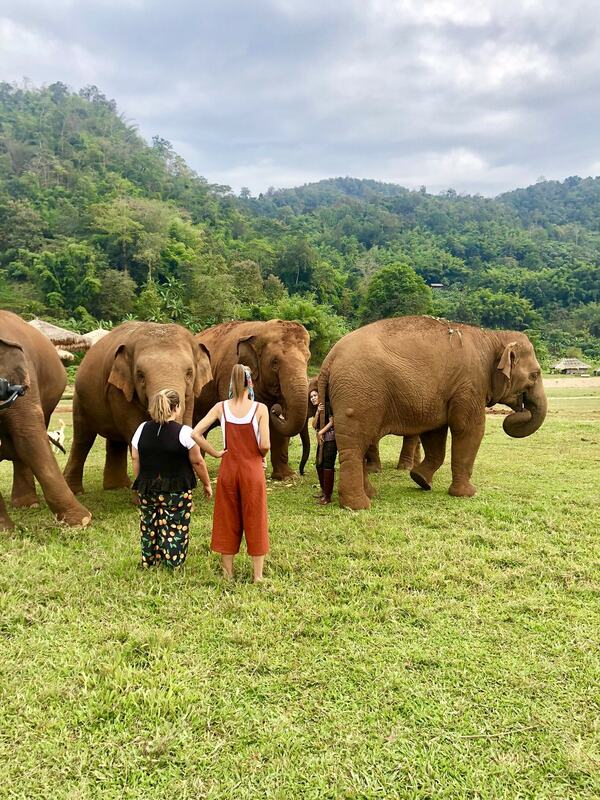 The fantastic news is, Flight Centre are now committed to responsible tourism, only promoting animal experiences and tours that are 100 percent cruelty free. 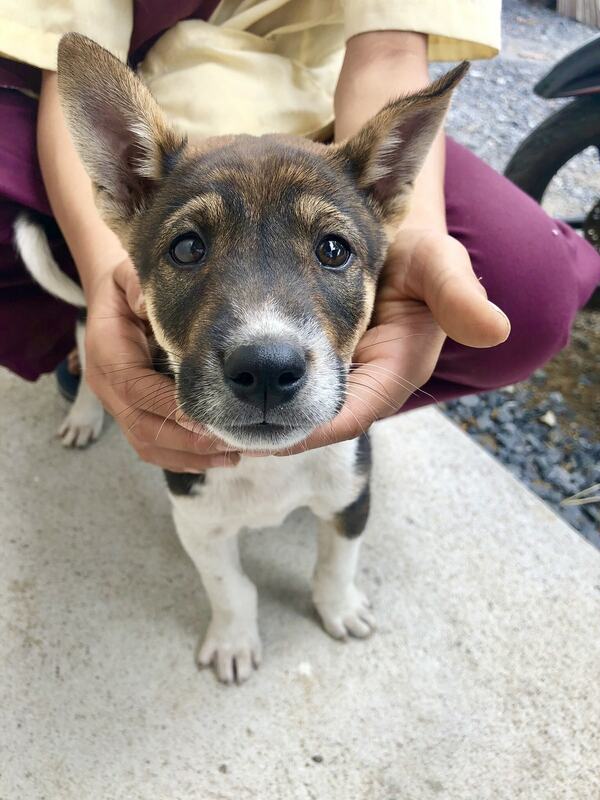 So next time you book a holiday with Flight Centre, you can be confident that you’ll be helping, not hurting, beautiful animals all around the world. Foot massages :: We were in Chiang Mai for three days, and had about 47 foot massages in that time. Intrepid tour buses :: After a HUGE day of trekking around Thailand, it’s so comforting to know you can climb into a private air conditioned mini bus to head back to the hotel. 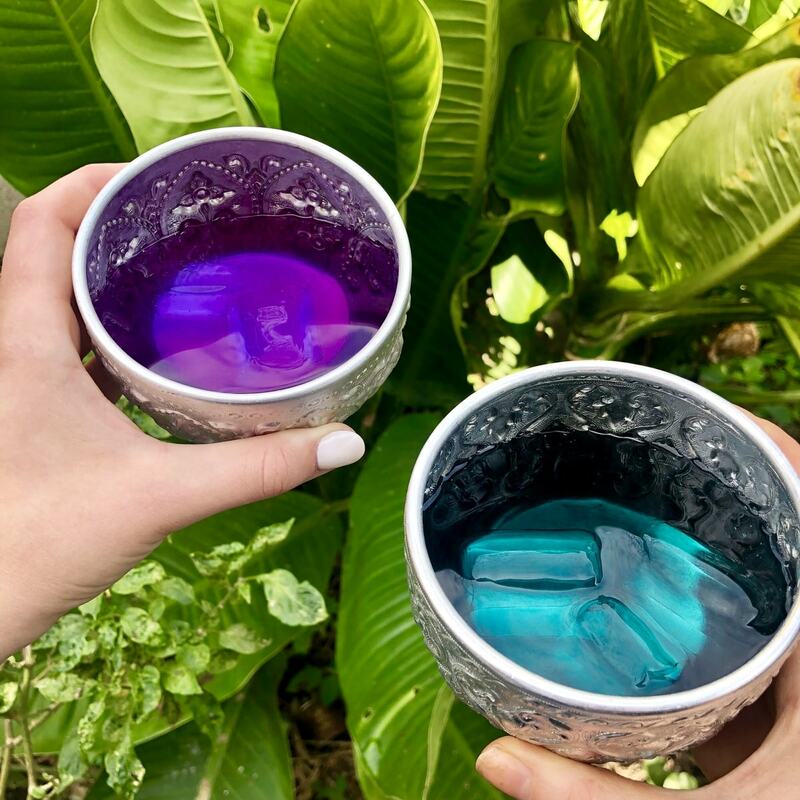 Warm weather :: We were in Thailand in January, and while the weather in Adelaide was super toasty, the weather in Thailand was just right — with a touch of humidity that only really impacted our hair. The people :: It really felt like no matter where we went, we were always greeted with a smile. 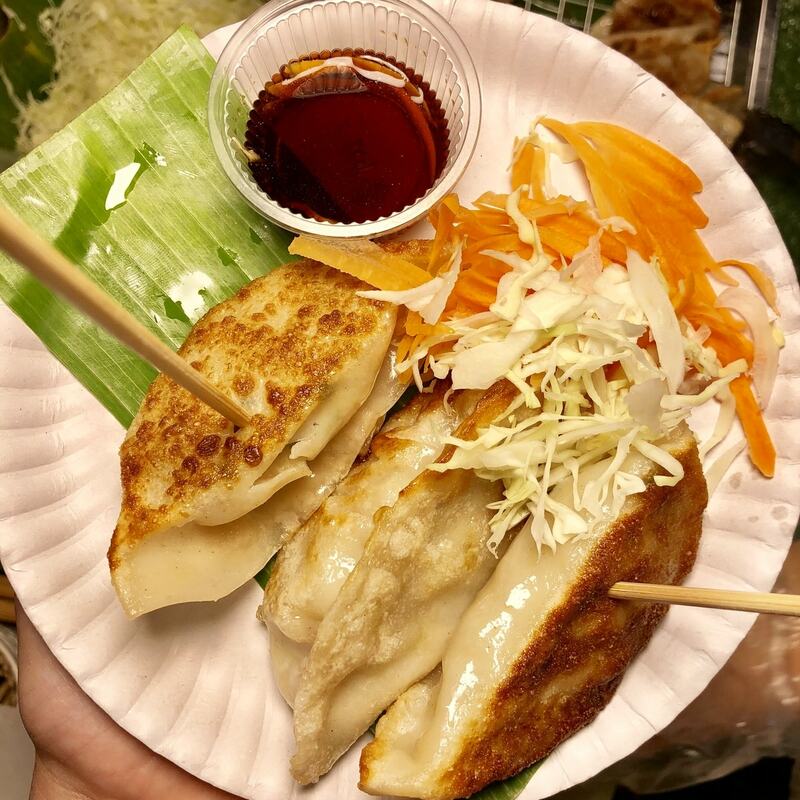 The culture of the Thai people is to believe in karma and good luck, and you can honestly feel the food vibes floating through the air. Thailand is waiting for you to explore. So go on, get out there! Next PostWIN an Artwine experience plus a dozen bottles of prosecco for you and a friend!